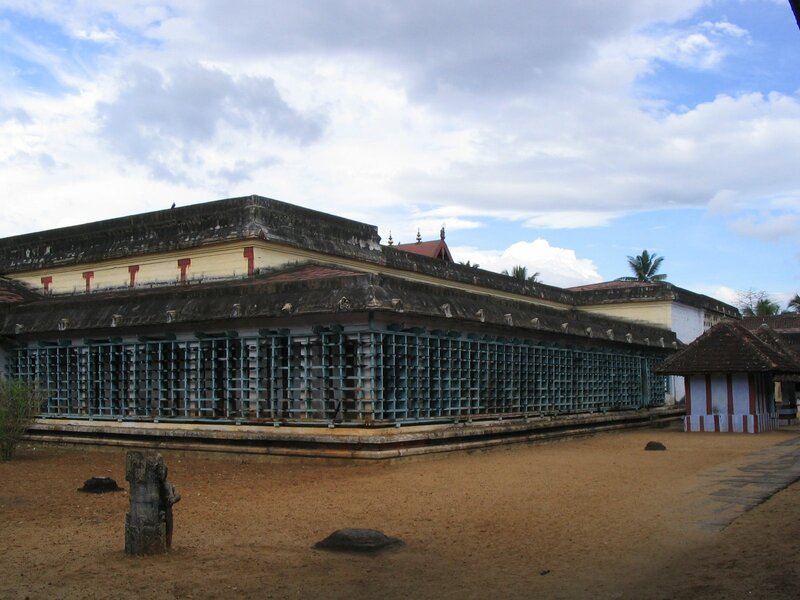 Located about 30kms from Nagercoil off Marthandam near the Kerala - Tamil Nadu border and one of the 13 Malai Naatu Divya Desams is the Adi Kesava Perumal Koil. This is one of the oldest temples in this region. Though this Divya Desam is located in Tamil Nadu, there are no big temple towers that are typical of Divya Desams in Tamil Nadu. 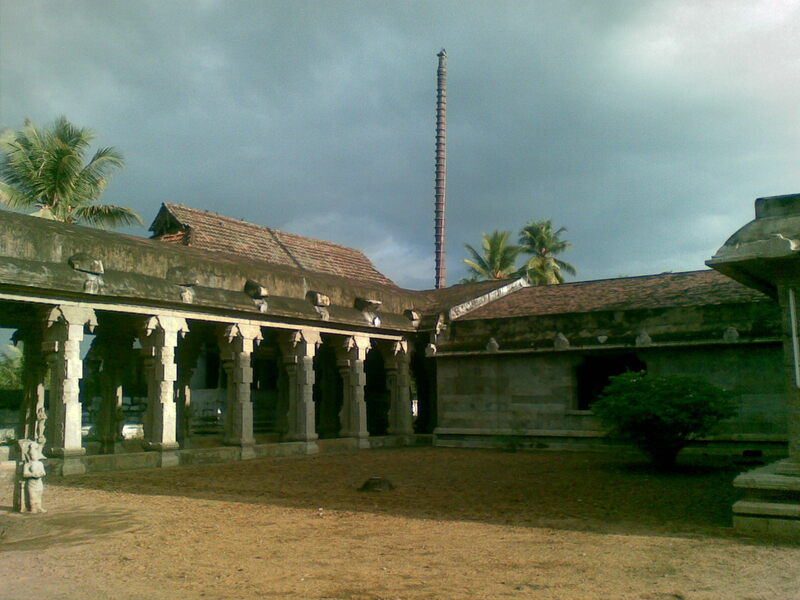 The temple has been built in typical Kerala style on a 3 acre land. All poojas are in Kerala style - Thaanthriga Vithi and the priest is from Kerala as well. 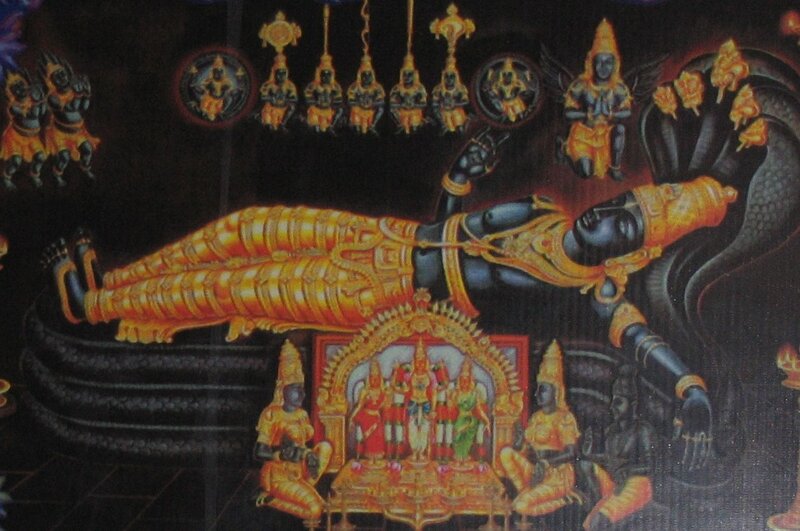 Lord Adikesava Perumal graces in a reclining form, longer than Lords of this form in the 108 Perumal shrines. He is facing west, his eyes set on Tiruvananthapuram Lord Anandapadmanabaswami. It is a rare form that Perumal facing west with His left hand hanging and the right assuring the devotee – Abhayahastha. His head and feet are south-north directions respectively. Mother Maragathavalli Nachiar graces with Lord. Due to an error in the conduct of a yajna by Lord Brahmma, two demons appeared from the fire – Kesan and Kesi. They caused all troubles to Sages and Devas. They came to Lord Vishnu for protection. Lord killed Kesan and used Kesi as a pillow for his bed. The demon’s wife, to avenge the Lord, called Rivers Ganga and Tambiraparani to help her. They came in spate to wash off the Lord. Mother Earth simply raised the ground level where Perumal was reclining. Both Rivers went round the Lord, prayed to Him and continued to flow round as two garlands. This event is mentioned in Nammalvar’s Mangalasasanam hymn. As Perumal destroyed demon Kesan, He is named Kesava Perumal. Kesi tried his best to escape from the Lord with his 12 hands. Lord put 12 Rudrakshas in his hand and foiled his escape bid. 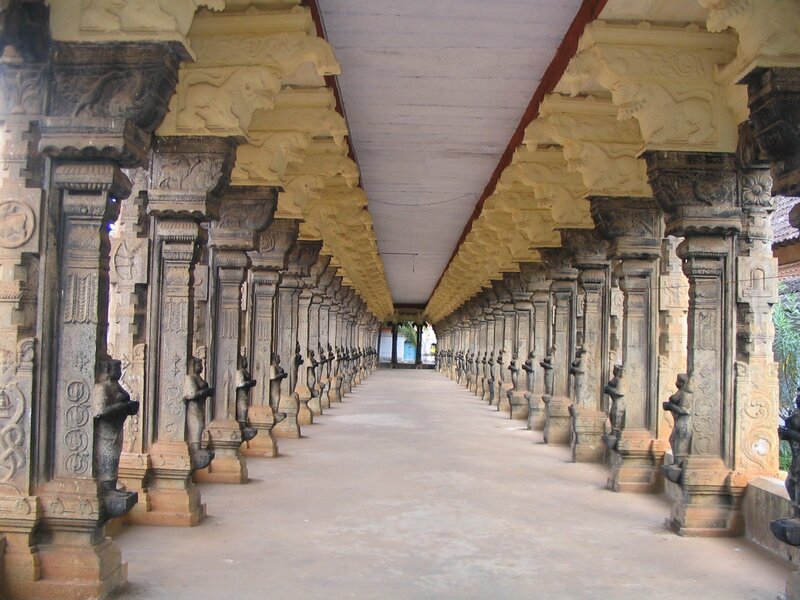 12 Shiva temples came into being through these Rudrakshas around Tiruvattaru. During Shivrathri, devotees run to cover all the 12 Siva temples and end the prayer with Lord Shiva at the feet of Adikesava Perumal. The practice continues even today. The idol of Perumal is made of a mixture of materials called Kadu Sarkarai Yogam with 16,008 Salagrama stones (stones with Narayana forms). The devotee has to worship Perumal through three entrances. The procession deity in a standing form graces with Mothers Sridevi and Bhoodevi. 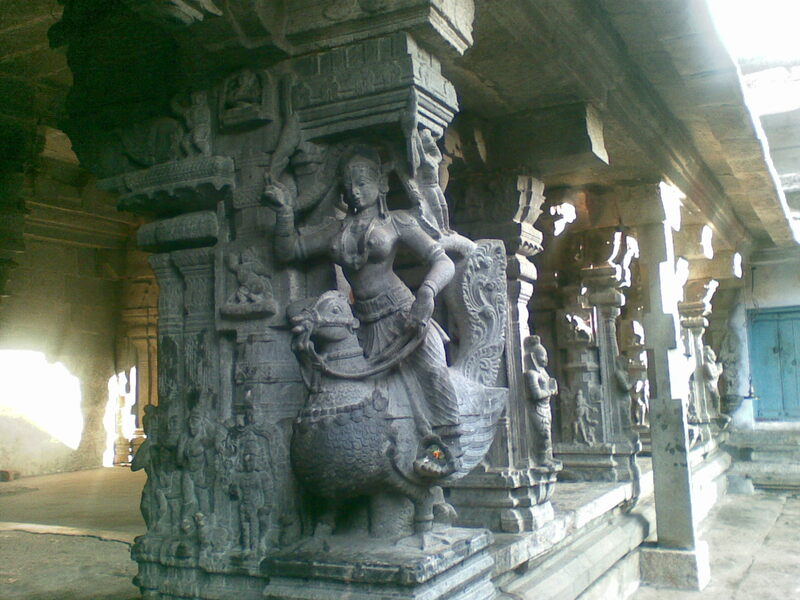 There is no Lotus or Brahma on the naval of Perumal. 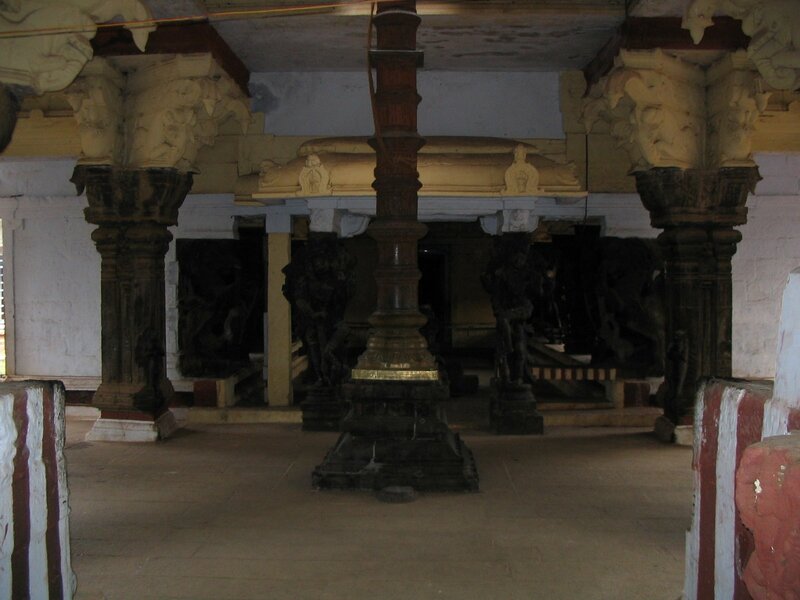 It is believed that the devotee worshipping Perumal here would have no further births. Garuda, Sun, deities of the five weapons (Panchayudha), demons Madhu and Kaidaba are in the sanctum sanctorum. Maharshi Hadhaleya is near the head of the Lord. Between the 3rd and 9th day of Puratasi and Panguni, during dusk, Sun’s rays directly falls on the Lord inside the sanctum, almost as a mark of respect from the Sun God to Adi Kesava Perumal. 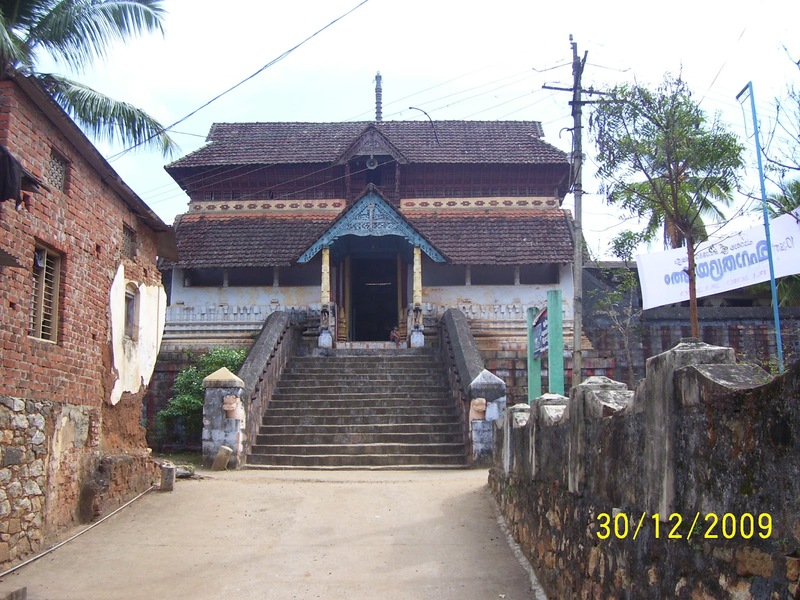 The temple is older than Anantha Padmanabha Swamy temple in Trivandrum (about 50kms from here). Adi Kesava Perumal is said to be the elder brother of Anantha Padmanabhan and hence, this place is referred to as Aadhi Ananthapuram. This temple is also known as Chera Naatu Srirangam. Festival: Onam, Aipasi Brahmmotsavam in October-November, Purattasi Saturdays in September-October, Vaikunda Ekadasi in December-January are the festivals celebrated in the temple. 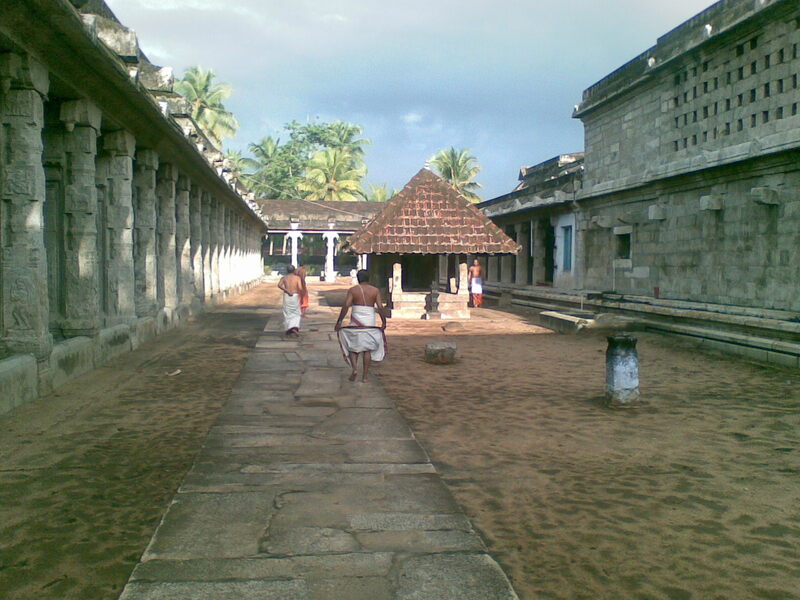 Theerthavaari, is one of the grand utsavam done in this sthalam. Pushpanjali is yet another important utsavam done in this temple where lots of flowers are offered to the Perumal. The temple is open from 05:00 a.m. to 12:00 noon and from 05:00 p.m. to 08:00 p.m. 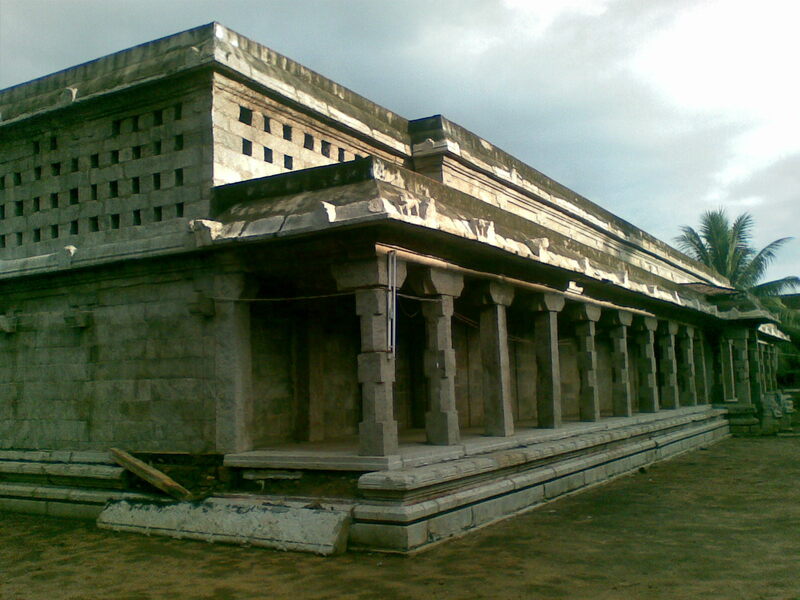 This sthalam is situated next to Thoduvetti in Kerala. We can also reach this sthalam by getting down in Thoduvetti while traveling in Bus which starts from Trivandrum to Nagarkoil. 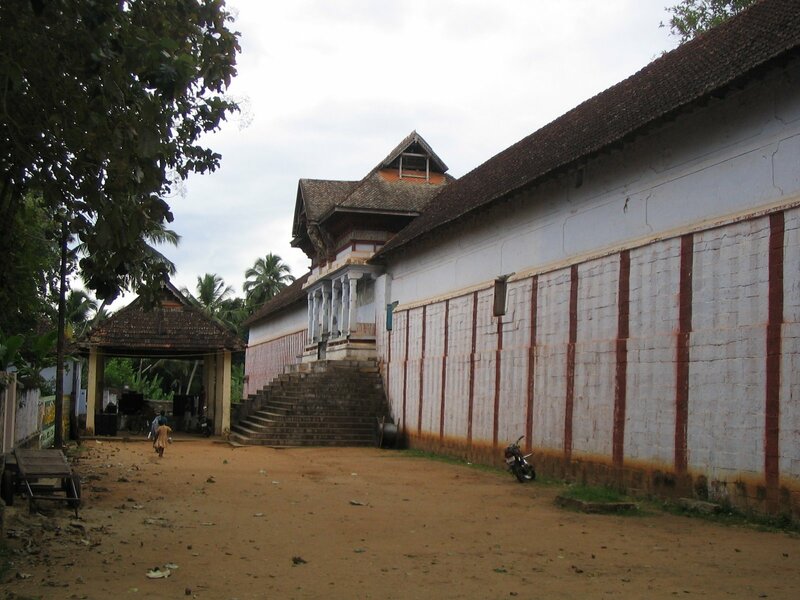 After getting down in Thoduvettin, we have to catch another bus and travel around 6 miles to reach this sthalam. There is no lodgying facility. 30 kms from Nagarkoil.